Will is my little brother. He's been my best friend for his whole life...like he really had a choice. ;] I've been sitting here trying to figure out what to write for a whilte but every time I start to type it just sounds meh. Words can't really do justice for how much I love this guy and how proud I am of him. He picked up the guitar when he was 12 years old and hasn't put it down since. 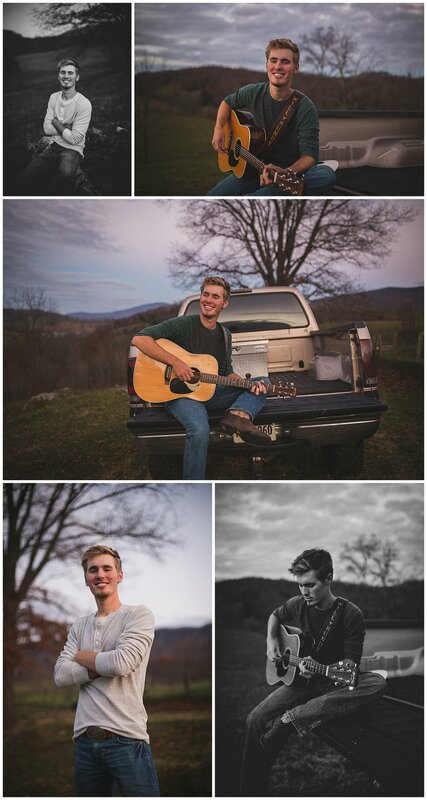 Will started out playing on our church's worship team and with the encouragement of several people (especially the late Trevor Blankenship) he began to develop his own style. He is truly gifted with both talent and the drive to continually improve. Will's passion is country music; I guess that goes back to growing up on dad's cattle farm in the heart of southwest Virginia. If you haven't checked out Will's music, be sure you do! You can also follow him on Instagram @willbundy32. He is working to put out new music hopefully soon. Also, Will tried out for the final season of American Idol and had the priviledge to perform for the celebrity judges in Atlanta! Make sure you tune in when the season airs on January 6th to see if you can catch Will's audition! And now, that's enough talking. Check out the photos I did of Will this November!